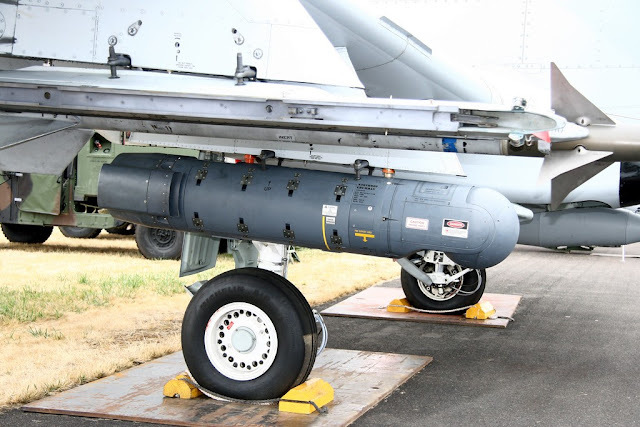 Indian air force all set to seal a contract to buy more than 140 new generation litening 5 target designation and surveillance pods along with thousands of spice guided glide bombs for better ground strike. which makes nearly half of the Indian Sukhoi's with multi role and precision strike capability rather than just single role of air superiority. IAF's not new to both of the above systems. Indian air force already operating many Sukhoi's with older generation Litening targeting pods and Spice guided munitions. However the actual number of the ammunition is remain classified. IAF has some good air superiority platforms but lack of ground attacking platforms, The Mirage 2000 and Jaguar is the only aircraft to do so the precision ground striking. Nearly seven squadron of Su 30 MKI going to be adopt the new generation Litening-5 pod from Israel, which was unveiled last year. compared to the previous version, the new system comprising new sensor suites, which increases the recognition distance and increase the range of target detection. The new system comes with two forward looking infrared sensors. one is the mid wave IR another is the short wave IR. The active laser illumination system supports ground troops to laze the target for precision bombing from safe distance. The ground images can be captured using the high definition CCD camera for better clarity of recognition. which improves the detection capability, The litening also uses the thermal camera's to find out camouflaged units and fake targets. The Rafale has been selected with his immense capability of flying very low and carry more ordinance. Rafale comes with ASSM precision guided munition for pin point target strike. 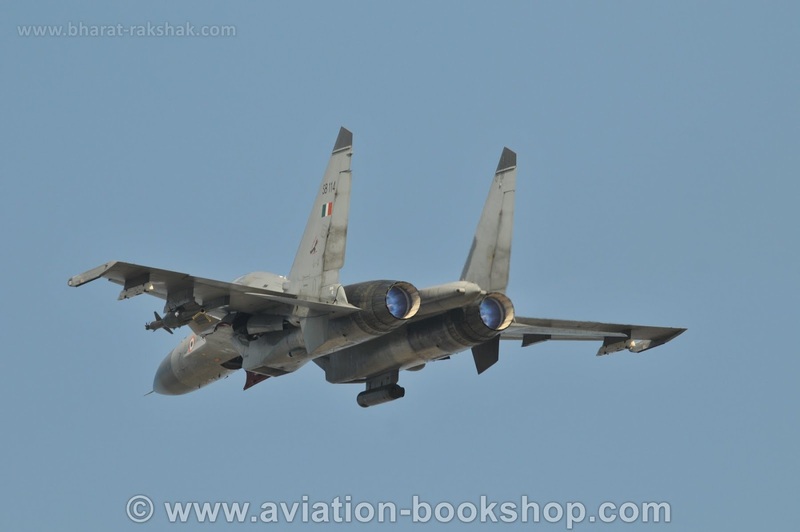 The Sukhoi normally designed as an air superiority fighter to intercept and conducting patrols to destroy any uninvited guests inside Indian air space. Changing the role of an aircraft is not so easy, However it's possible, the Israeli's and Americans worked on the F 15 by adding more support units for ground attack. and makes the Strike eagle version of F 15, which is one of the best known multi role aircraft. India is also trying the same by adding more guided weaponry in Sukhoi's arsenal. 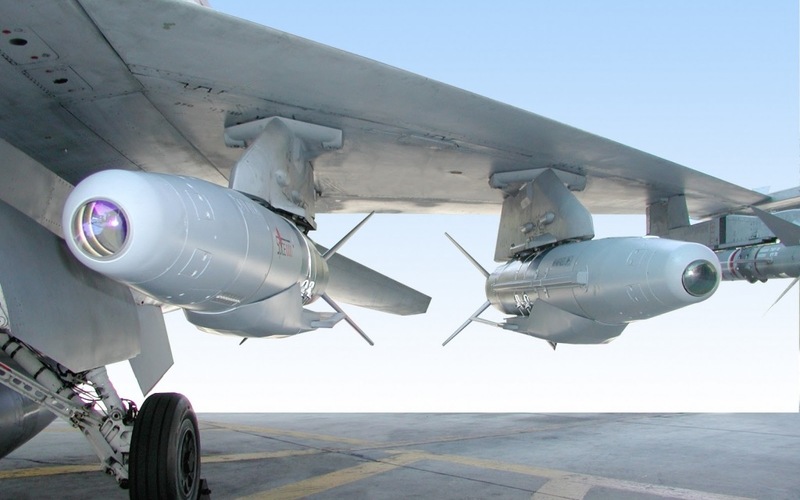 The Spice bombs are glide bombs who guided by CCD and IR sensors. Spice also supports INS and GPS guidance too. either any of the above said guidance system used in the missile. Spice comes with 250, 500, 1000 and 2000 pounds weight with the warhead weight of 100 kg, 250kg, 500 and 1000 kg's respectively. The actual glide range of Spice missile is more than 60 kilometers, some unofficial sources claims the actual range may go well beyond 100 kilometers. The previous generation US made Joint direct attack munition also uses the same technology. However now they adopted the GPS and laser guided systems. In modern world the rise of smoke screens and GPS jammers can easily jam the Bomb. which makes the bomb may attack the wrong or false target. The litening pod in the Sukhoi works with the spice bombs. The scene matching technology used in the Litening can feed more than 100 different targets into a single Spice bomb. whoever the best matches the bomb strikes it. India almost stopped using the dumb bombs, which is not used in modern warfare since most military hardware's are mobile. IAF asking the government to stock PGM to fight effectively in future battles. each Su 30 MKI can carry more than 32 Spice 250 bombs and a Litening Pod. along with two or four long range BVR missiles for self support. The above configuration can destroy almost many strategic Pakistani buildings and Pakistani sponsored terrorists camps close to the border. Su 30 MKI can attack those positions well inside from Indian airspace. As per some known sources the deal value of Litening and Spice is more than half a billion dollars.